As we close out 2016, please enjoy this Year in Review. Everything is Beautiful at the Ballet, Even When It's Not—New York City Ballet soloist and resident choreographer Justin Peck is fast becoming everyone's favorite modern choreographer, and I'd be lying if I said I wasn't a Peck acolyte. Which is actually why I'm so glad I didn't think The Most Incredible Thing was incredible. My initial reaction to it was one of disappointment, as I found his first full-length narrative ballet to be plagued by the problem with most narrative ballets: not enough dancing. Upon seeing it again (this time with different expectations), I was able to appreciate it as a complete work of art, something on which Peck collaborated with artists from other mediums, creating a dramatic visual fantasia. That Peck didn't hit it out of the park shows that he is experimenting. Rather than sticking with what worked in the absolutely stunning Everywhere We Go, he is striking out to explore the full breadth of ballet, and that's beautiful. 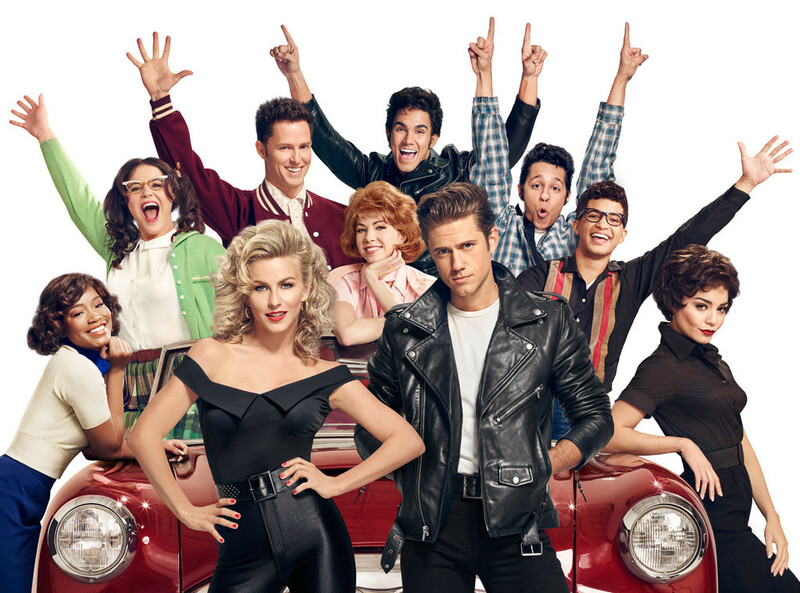 Grease Live—I hadn't been wowed by any of the live musical telecasts. 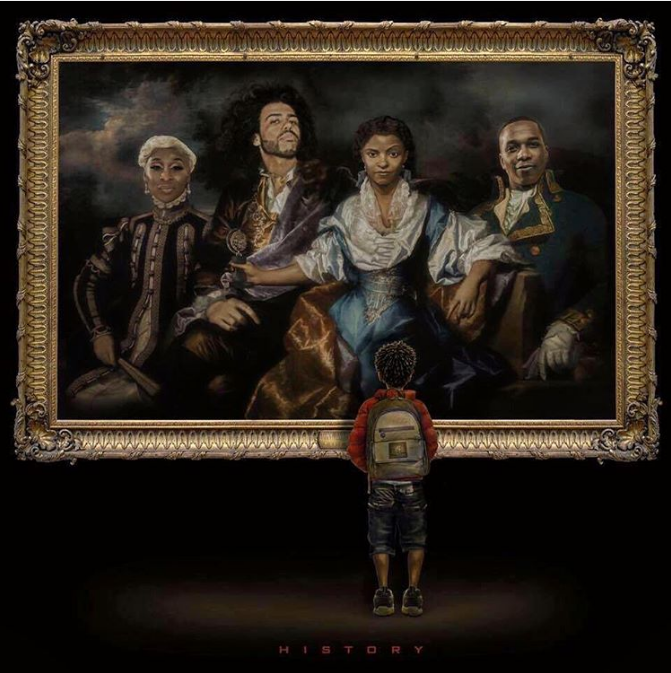 I understood that they were good for musical theatre at-large, exposing a huge audience, more people than could see Hamilton in a year, to the art form, but remained underwhelmed with their execution. Then came Grease Live. Maybe it's because I already loved the show (well, the movie version, really). Maybe it's because Grease is exuberant, making it a more welcome presence in your living room than some of the others. Maybe's it's because Aaron Tveit was perfectly cast (if a little long in the tooth) as high school heartthrob Danny Zuko, and the rest of the casting reflected the diversity you would actually see in a school. Maybe it's because each design element was so well done (thanks William Ivey Long and David Korins), and because actors from the original movie made cameos. Or maybe, and I think this is really it, it's because Tony-winning director Thomas Kail tailored the production to take advantage of what TV and cameras can do. Sure, he payed homage to theatrical talismans, but Kail directed for the medium, making effective use of the three huge sound stages and all the cameras, whereas his predecessors basically just filmed what was happening on a proscenium stage. I've actually rewatched this, something I wouldn't even consider with the other efforts, and it holds up. Also: Boyz II Men. BOYZ II MEN!!! 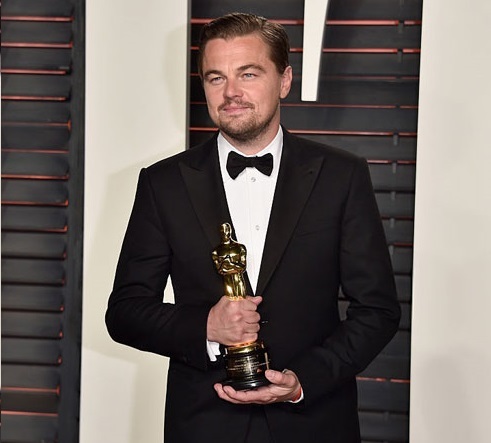 Leo Wins an Oscar—OK, so this isn't life-changing for anyone other than Leonardo DiCaprio (and maybe his agent? 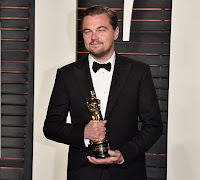 ), but Leo's been my favorite actor since he was Luke on Growing Pains, and he had been rightfully nominated several times before, so I was ecstatic when he won. (Mark Rylance won an Oscar, too, BTW. What great company.) It felt like a joke that one of the greatest actors of his generation didn't have an Oscar, while other actors, actors who do not have a great body of work and are not consistently impressive, found their way to Oscar glory. Sure, The Revenant was textbook Oscar bait, but it was also a well-crafted film, and DiCaprio was stellar. Off-Broadway is Going Strong—A lot of people think of off-Broadway as the black sheep of the theatre family, as a place where quality is questionable. Those people are wrong. Off-Broadway is thriving. Particularly because many off-Broadway theatre companies are not for profit, off-Broadway is the place for artists to experiment, and the results can be phenomenal. 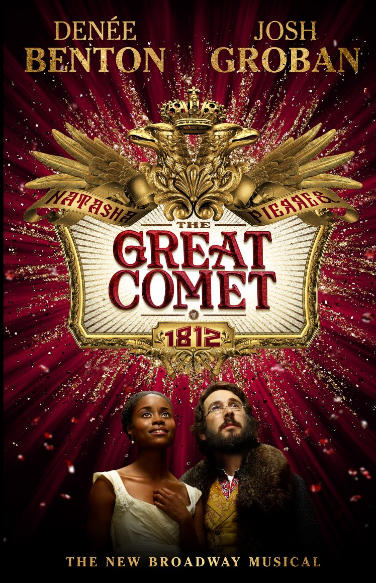 This year's juggernauts, The Great Comet and Dear Evan Hansen, both began off-Broadway. And some of the stellar revivals mentioned further down were off-Broadway. Additional standouts included Julia Cho's Aubergine; Colman Domingo's Dot; Danai Gurira's Familiar; Adam Bock's A Life; Mike Bartlett's Love, Love, Love, and Kenneth Lonergan's Hold On To Me Darling, which brought both Lonergan and star Timothy Olyphant back to the theatre. Off-Broadway is where it's at, dear readers. "Original? On Broadway? Baby, that is risky..."—After a successful run in Washington, DC, and an even more buzz-producing run off-Broadway at Second Stage, Dear Evan Hansen, a scrappy, wholly original, little show (seriously; there are only eight characters), made it to Broadway, where it plays eight shows a week to standing room only houses. The Tony-nominated composing team Benj Pasek and Justin Paul (they earned a Tony nod for their adaptation of A Christmas Story) joined forces with book writer Steven Levenson to create something deeply affecting, a show about loneliness. This is the most unflinchingly honest look at what it's like to be lonely (not a new problem), and made it fresh by weaving in the ever–present force that is social media, something that's meant to connect us but can leave us feeling even more isolated. 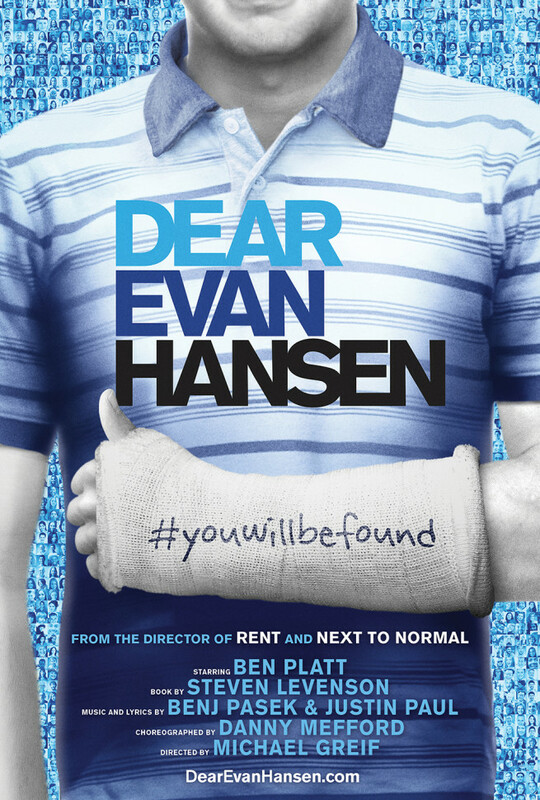 Ben Platt gives a star–making performance. He's like this raw, live nerve as the title character, and you just want to hug him after the show. "...Unless you got some stars in mind! "—On the other side of the coin, you have Natasha, Pierre, and the Great Comet of 1812. This is not original (it's based on a sliver of War and Peace, though you might not know it from the title), and it features a box office–drawing star, Josh Groban, making an impressive Broadway debut. (His co-star, the radiant Denee Benton, is also making her Broadway debut.) But here, star power is used wisely and well, enabling the show to come to Broadway with its original storytelling and punk rock ethos in tact. 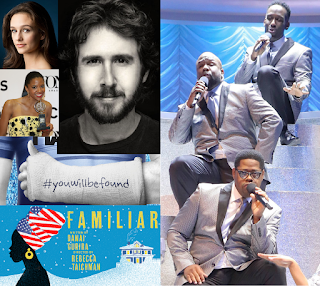 This feels like the show writer Dave Malloy and director Rachel Chavkin set out to make, not something that was watered down for Broadway, and I truly believe Groban's star power helped make that possible. Oh, and Groban's fantastic, to boot. 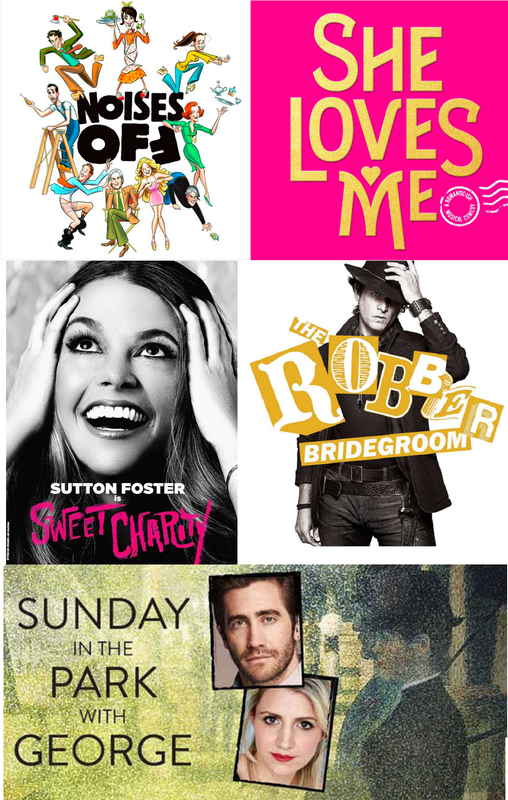 Revivals—I'm not always a cheerleader for revivals, but sometimes, they're just so darn good. The year of stellar revivals began with Noises Off, which has long been one of my favorite plays. In this iteration, Andrea Martin, Jeremy Shamos, Tracee Chimo, Megan Hilty, and others got to be funny on stage. We're talking bust-a-gut, laugh-out-loud hilarious. 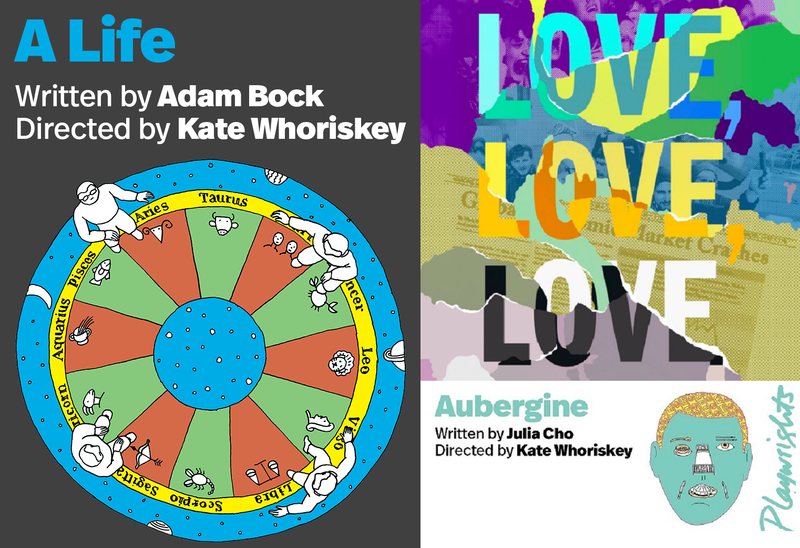 In the spring, we got a delightful and sincerely sweet revival of the Bock and Harnick gem, She Loves Me (which you can now catch on Broadway HD). This lovely, earnest musical stands out in an age when sarcasm reigns supreme, plus it brought Gavin Creel back to Broadway, and cemented Zachary Levi as one of Broadway's leading men (and made him a Tony nominee). Meanwhile, off-Broadway saw genius Alex Timbers directing his first revival, the romp of a musical that is The Robber Bridegroom. This isn't the kind of canonical show that everyone knows, which is why revivals can be so important. This fall, Encores brought us a four-performance concert of Sunday in the Park with George, starring Jake Gyllenhaal and Annaleigh Ashford. It was so good that it's coming to Broadway in 2017 for a fully-produced, ten-week run. And in a glorified black box of a theatre, The New Group presented a revival of Sweet Charity, with two-time Tony Award winner Sutton Foster doing wonders in the title role. Look for this to pop up for a full run in 2017, as well. Shuffle Along—Talk about history happening in Manhattan. Director George C. Wolfe conceived of Shuffle Along or The Making of the Musical Sensation of 1921 and All that Followed, working diligently to tell the story of overlooked but pioneering black artists. The 1921 musical Shuffle Along was the first Broadway show with an all-black creative team, and it was a hit in its time. The 2016 Shuffle Along...exalted Noble Sissle, Eubie Blake, F.E. Miller, and Aubrey Lyles's work, and dazzled audiences with what I believe the Internet would call "black girl [and boy] magic." The cast featured an embarrassment of riches, starting with Tony queen Audra McDonald, and continuing with Brian Stokes Mitchell, Joshua Henry, Billy Porter, Brandon Victor Dixon and Adrienne Warren (the last two actors earned Tony nominations for their work). Add to that Savion Glover's brilliant, syncopated choreography, and you have audiences going wild. It's a damn shame it closed prematurely. This is an important show, from a dramaturg's perspective, and a powerful, entertaining, moving one, from an audience member's perspective. 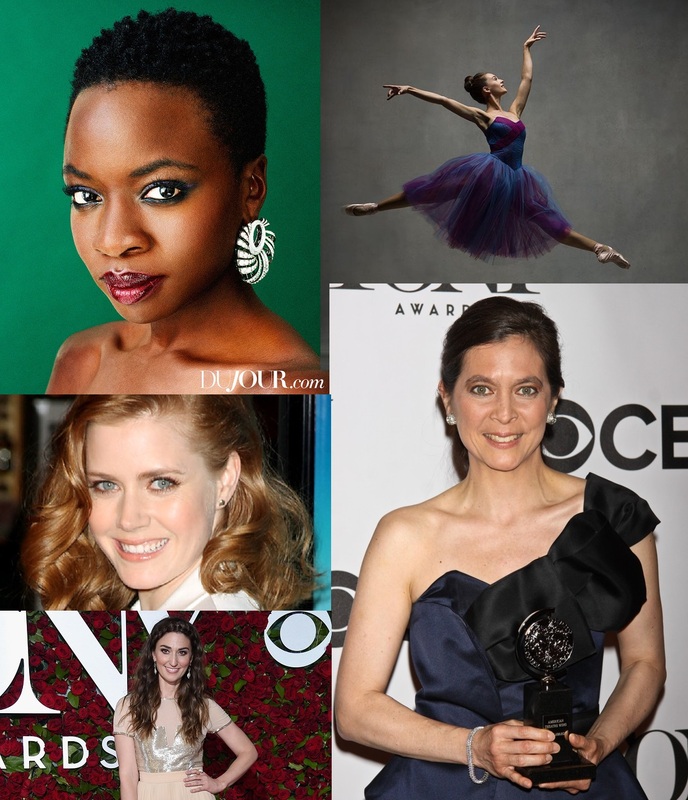 Women in the Sequel—We still have a glass ceiling, but women made great strides in the arts this year. Eclipsed and Waitress both made it to Broadway with female creative teams in tow. (Eclipsed was written by Danai Gurira and directed by Liesl Tommy; Waitress features a book by Jessie Nelson, a score by Sara Bareilles, choreography by Lorin Lotarro, and direction by Tony winner Diane Paulus.) Meanwhile, New York City Ballet's fall gala featured new works by two female choreographers. You'd be hard–pressed to find even one work by a woman in its typical repertoire, and this fall, two female choreographers took the spotlight. (Annabelle Lopez Ochoa debuted Unframed, and principal dancer Lauren Lovette debuted For Clara.) And on the movie side, Arrival features a female heroine (Amy Adams) who uses her brain, not her brute, to save the world. There's work to be done, but women are nothing if not hard workers. Wow! So much great stuff I've missed! Thanks to this blog I'll be making a few more theatre rounds to see the ones I missed. Good to hear off-Broadway is doing so well too. I also recently saw that there's a new Broadway play in the making — based on the meteoric rise-and-fall of one of Hollywood’s most legendary stars, the silent film actress Clara Bow. And you can be a part of it. Best part of all is, now investors don’t have to be millionaires to contribute to getting the play financed!